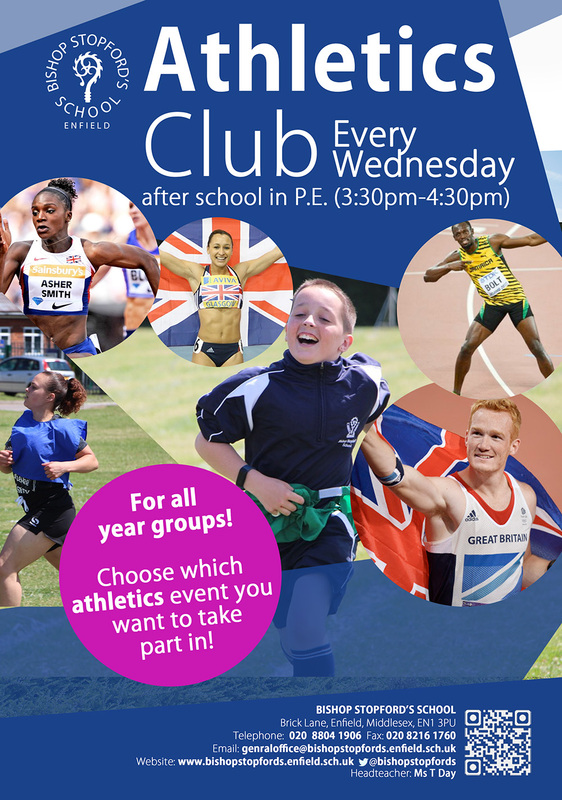 Choose which athletics event you want to take part in! 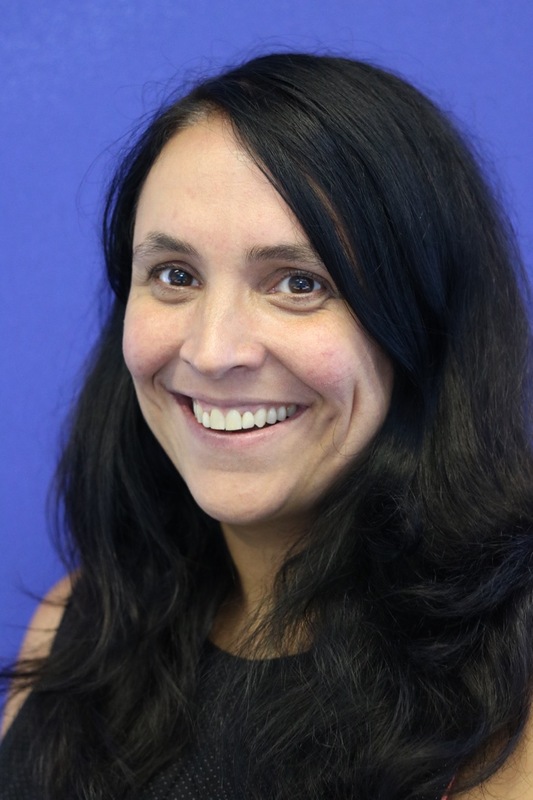 This entry was posted in Bishop Stopford's School, News, Physical Education on May 16, 2018 by Admin. My names Hannah Robson and I am the parent of Nathan Robson in year 11 at Bishop Stopford’s school. 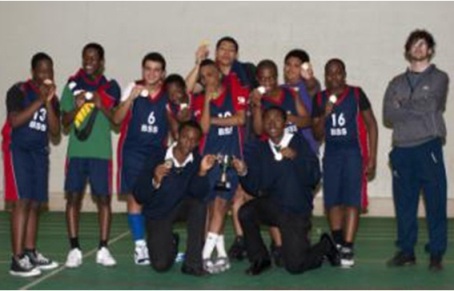 I am currently involved running a youth basketball club at oasis Hadley school in Enfield, and we are hoping to advertise and increase numbers so more young people can benefit from the facilities and the opportunity to train. This entry was posted in Physical Education on March 27, 2018 by Admin. This entry was posted in Bishop Stopford's School, News, Physical Education on February 8, 2018 by Admin. Yr9 girls netball tournament Feb 2018. 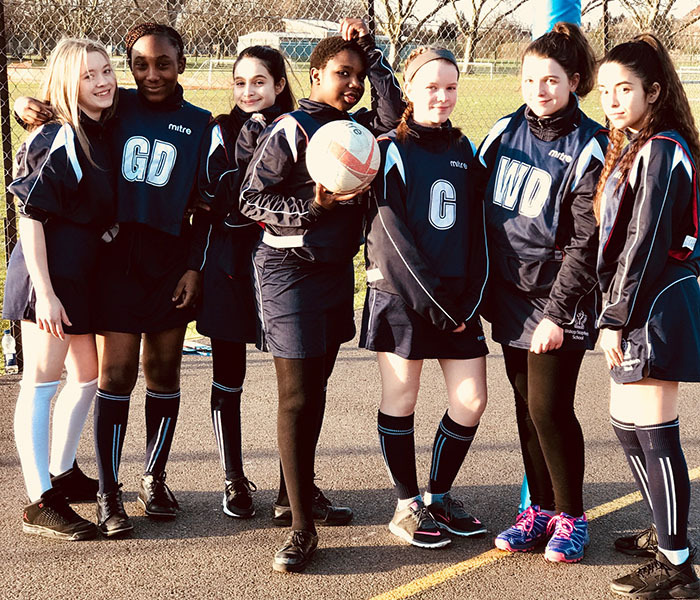 A group of hard working and determined Yr9 girls took on a number of other schools in the borough in a netball tournament this afternoon (7th Feb). This entry was posted in Physical Education on March 15, 2017 by Admin. 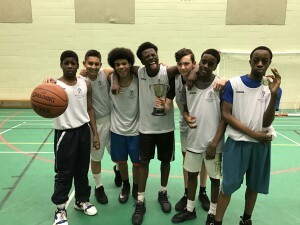 The Year 10 Basketball team continued their amazing unbeaten run by winning the Year 10 Borough Competition to go with their wins in Year 8 and Year 9. They Won all of their 6 group games with efficiency, teamwork and incredible skill and this put them in the Final against Edmonton County. The group game between the two was a very close affair with the Final continuing in the same way until 3 consecutive 3 points gave Bishops a healthy lead which never came under threat. 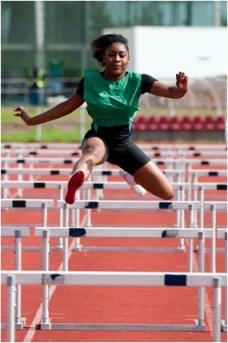 What an excellent year for Bishop Stopford’s School Athletics Team! Coming 2nd by 2 measly points in the mixed competition!!! This entry was posted in News, Physical Education on August 10, 2015 by Bishop Stopfords. Please click here to access the sample moderation exam for Unit 7. This entry was posted in Physical Education on March 16, 2015 by Bishop Stopfords. This entry was posted in Physical Education on December 15, 2014 by Admin. This entry was posted in News, Physical Education on October 13, 2014 by Admin. Our U14 (Yr7, 8 & 9) girls basketball team took on Lea Valley and Aylward Academy in a tournament where the winners will represent Enfield in the next round of the London Youth Games! 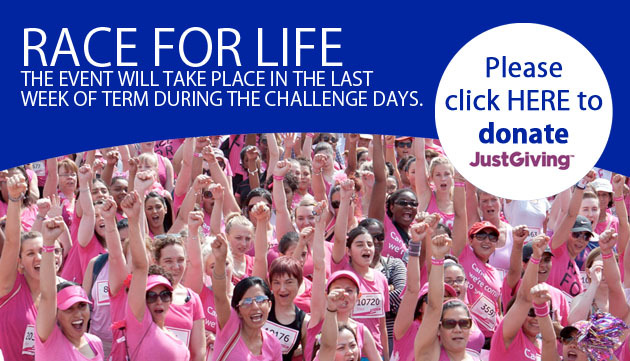 As part of the challenge days, students will be asked to run the race for life which will be held on the school field. 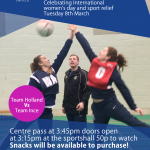 Students will be asked to collect donations using the just giving page. Students will be asked to bring fancy dress so to make it even more enjoyable and fun. The race for life event is held to raise awareness of cancer and to help fight this horrible disease that affects so many of us. Our aim is to reach minimum £500 which is an amount I think we can achieve. This entry was posted in Physical Education on July 3, 2014 by Admin. The key aims of the PE department are to maintain or stimulate student interest and enjoyment in physical education and to promote health and fitness for current and future lifestyles through engaging in purposeful physical activity. Students help develop their academic, physical and social capabilities through competition and co-operation. The facilities at the School include a sports hall, gymnasium, weight training room, tennis/netball courts and an onsite field with football, hockey, rugby pitches as well as a cricket table and an artificial cricket wicket. The curriculum is broad, including a variety of games, gymnastics, athletics and dance. There are well established and successful GCSE and A level PE courses and the Community Sports Leaders Award course is offered in the Sixth Form. There is an extensive extra-curricular provision and fixture list which gives opportunities for many students to participate and compete. 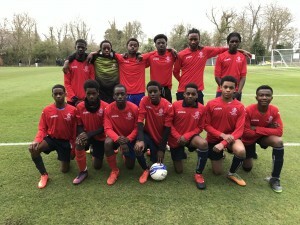 These opportunities include clubs, coaching/practice sessions and fixtures ranging from friendly games, festivals, Borough Leagues, Cup and Championships through to County Cups, Championships and National competitions. 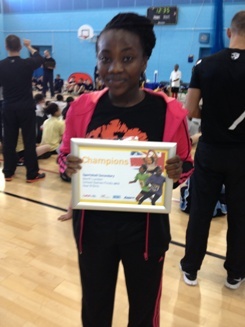 Students have achieved honours in a variety of sports at County and National level. Healthy competition, citizenship, fair play and co-operation are encouraged and demonstrated by students. This entry was posted in Physical Education on March 14, 2014 by Admin. 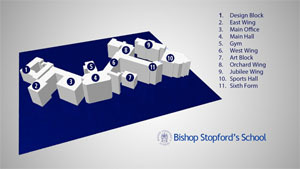 The Bishop Stopford’s roll of honour! 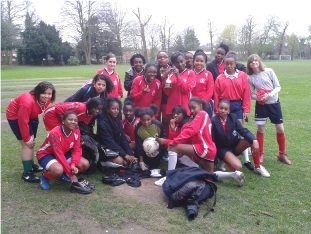 We were runners-up in the Nfield Schools Tournament in years 7 and 9 and champions in year 8. Click here to see the teams and star players. 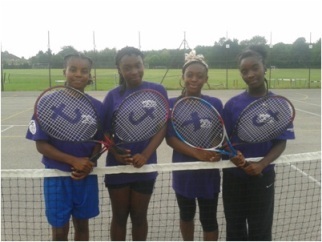 The girls’ team represented Enfield at the London Youth Games. Another successful campaign, winning the Borough Campionships in years 7 and 8, the Girls’ Athletic League and numerous broken records. Click here to see the stars. The Junior and Senior Teams both came first in the Borough Campionships this year and the Intermediate team came second. We have been very successful in a range of other sportsb including volleyball, rugby, badminton, table tennis, tennis, cricket, girls’ basketball, rounders and dance. Another fantastic year! 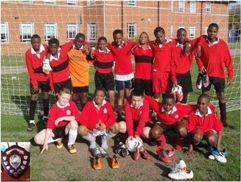 Borough Champions in Yeards 7 and 8 and runners up in Year 11.Click here to see the teams and star players. The girls’ team is now unbeaten in 3 years! We compteted in the Middlesex County FA Girls’ Schools Finals.Click here to see the teams and star players. 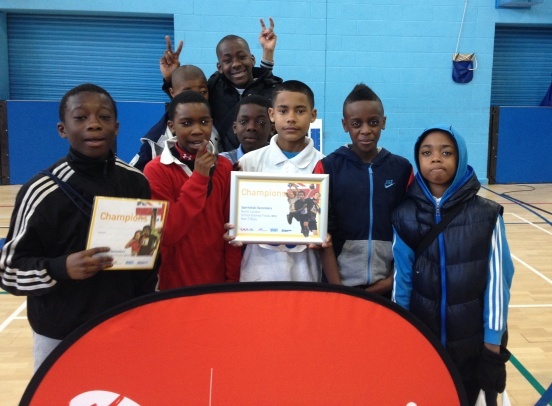 Boys and girls win North London Finals! 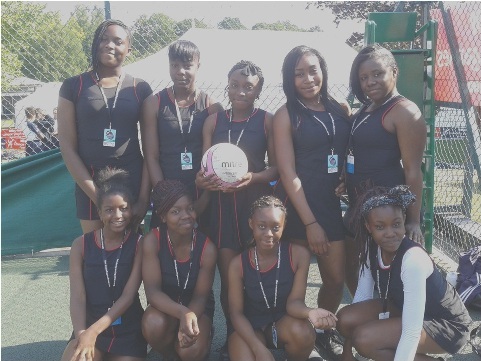 The year 8 girls stormed to their second victory in the north London finals today at Edmonton leisure centre. They started off strongly winning the first obstacle relay and it just went from strength to strength, winning most of the track races, dropping only two points. The field events were outstanding, with great performances across all events. The final event saw the girls a whole lap ahead of the rest of the field! This is a fantastic achievement to win the north London finals twice and progress to the London finals where they will be hoping to regain their title as London Champions. The year 7 boys followed in the year 8 girls footsteps by winning almost all of their races only dropping one point. They went out to win the competition and they did just that. Again just like the girls, they dominated the field events, and then stormed away to lead by a lap in the final relay of the day. 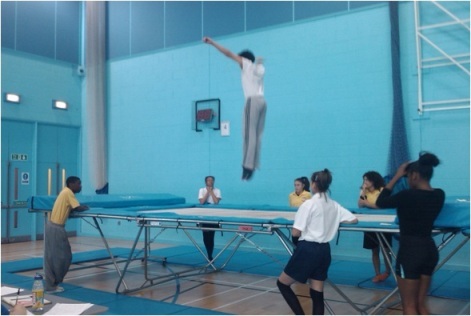 Both teams won their events by over 30 points, leaving the other schools trailing. 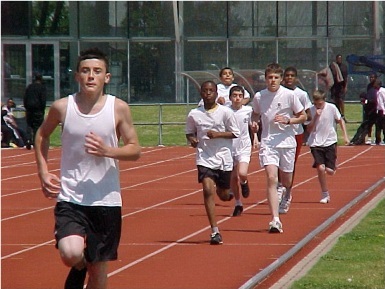 The London finals will be held at crystal palace national sports centre on 26th march 2013. 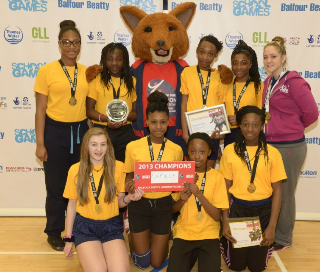 Congratulations to our fantastic year 8 girls who won the London Youth Games schools finals on Tuesday 26 March after triumphing in the Year 8 Sportshall Athletics finals. 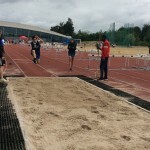 The team competition, made up of 11 athletics events including standing long jump, triple jump, vertical jump, shot put, speed bounce, paarlauf and relays, provided plenty of excitement at the National Sports Centre in Crystal Palace. Click here to see the report from the Games website. On Tuesday 24th September three of our yr11 GCSE PE students took in the challenge of volunteering to referee for 7 different primary schools from Enfield on our school field. Those schools were: Suffolks, St James’, St Matthews, Carterhatch Juniors, Southbury, Brimsdown and Freezywater St George’s. Demitris 11T, Ugnius 11K and Samuel 11K refereed two 30mins matches each and were looked upon by year 5 & 6 pupils, primary PE teachers, coaches and Head Teachers! 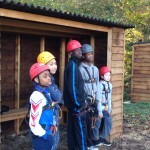 The boys received great compliments from all staff that attended and said that they enjoyed the evening. The Head Teacher from Southbury primary school said that the referees did a commendable job, much better then he would have done!